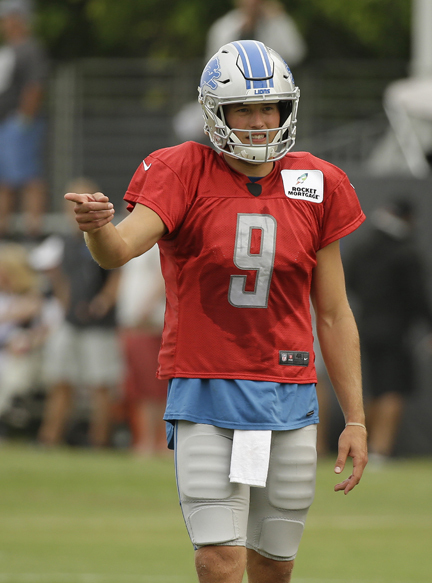 NAPA, Calif. — Because he isn’t likely to play more than a series or two in Friday’s preseason opener, Detroit quarterback Matt Stafford has a few modest goals for the Lions offense. Following Tuesday’s 2 1/2-hour practice, which was highlighted by a multi-player brawl that ended a team scrimmage session, the Lions packed up to travel to a hotel 75 miles south of Napa where they’ll stay until the game. Detroit, which hasn’t made it past the wild card round of the playoffs since 1991, won three of its final four games down the stretch but still missed the playoffs.